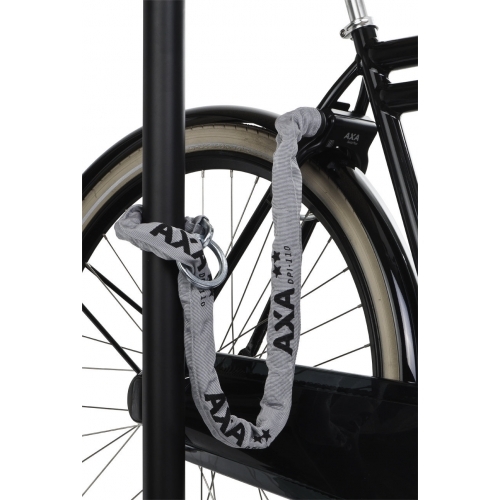 AXA's DPI 110 chain was developed for securing bikes against theft when parked in particularly vulnerable places and for long term parking. This chain works with the AXA Defender or AXA Victory lock and is the first such lock and chain combination to have Dutch ART** approval. Hardened steel chain Ø 8 mm. Plug in pin Ø 10 mm. See also the RLC chains and the RLE and RLD cables which offer longer lengths at a lower price and with less weight. The weight of this chain is 2 kg. 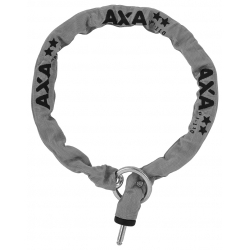 We particularly recommend use of this chain with the AXA Victory lock because both parts have then been awarded the ART** approval. Colour: Note that all DPI chains currently produced are now black in colour. There is no choice available from the manufacturer.